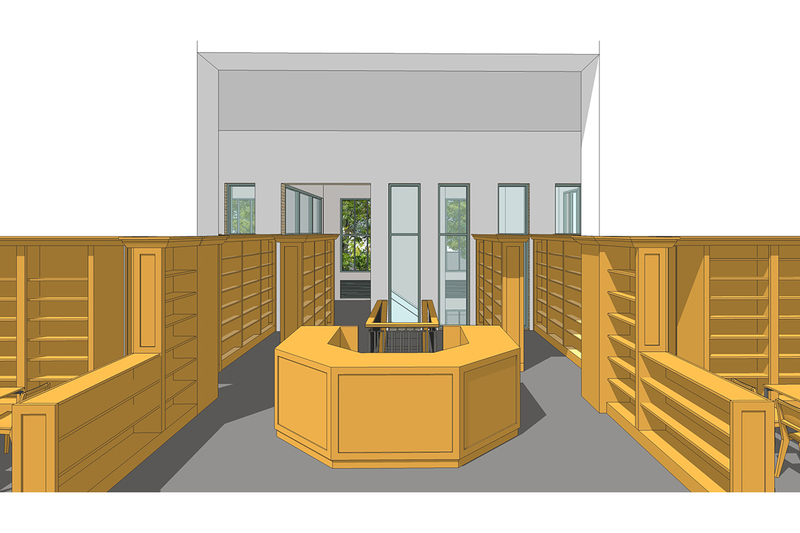 The Bellevue Library of the Montclair Public Library is an intact jewel among the historic buildings in Montclair. 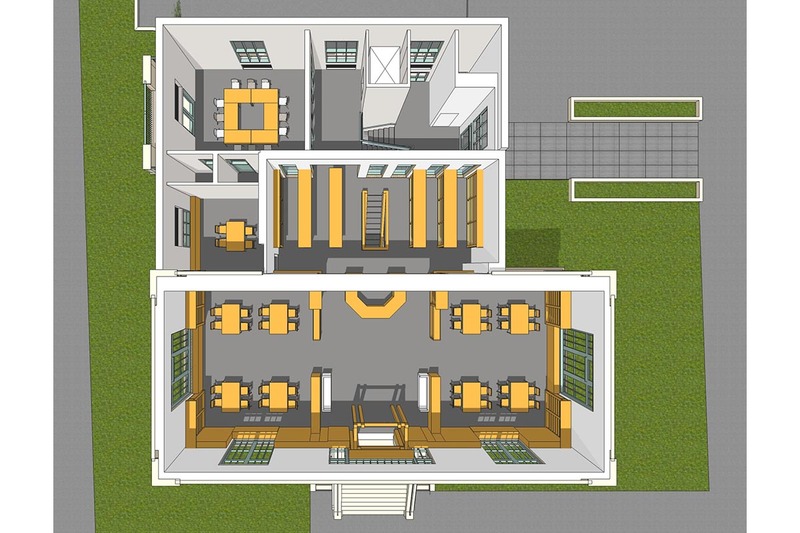 While still actively used and revered in the community, it has outgrown its current 4,100 sf. building. 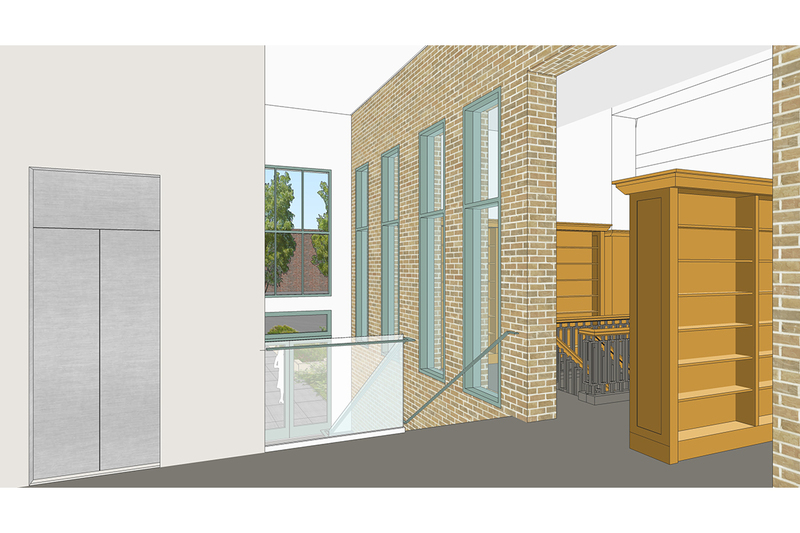 MDA created a concept design for both the renovation of the existing spaces to integrate today’s library services within the historic interior and a 2,500 sf. 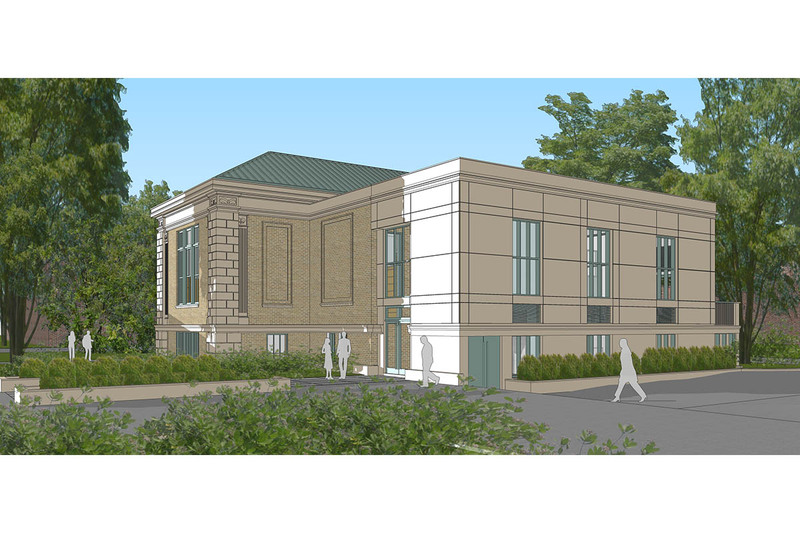 addition to provide a new accessible entry, elevator access, varied program and meeting spaces, a Teen space, and accessible restrooms. 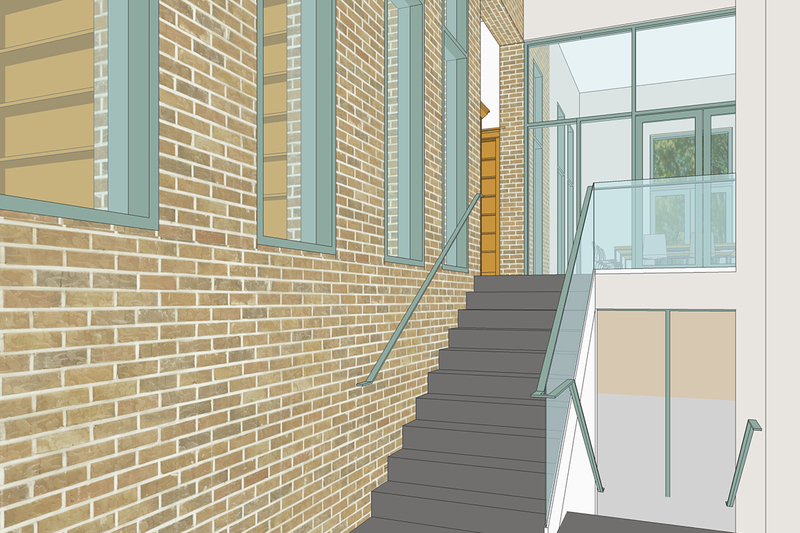 The addition sets back behind the original building and connects through the existing two story rear stack. 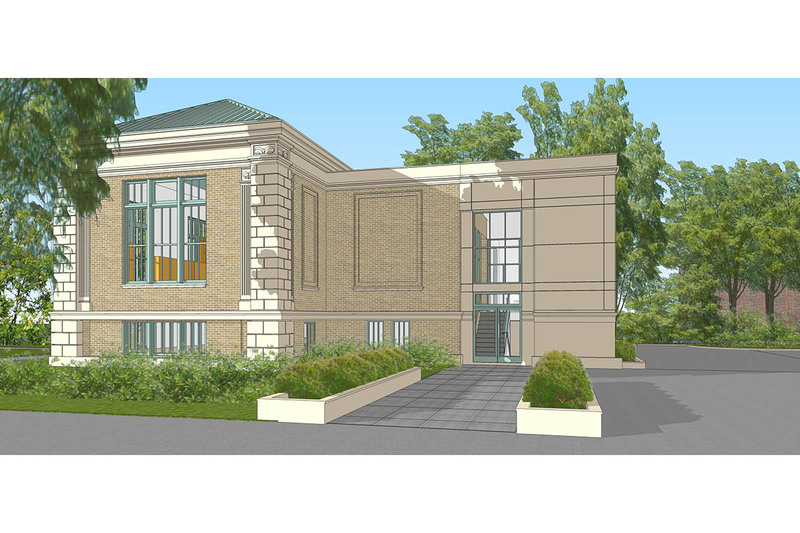 Clad in pre-cast stone panels, the new structure respects the prominence of the historic brick and limestone building while playing a new support role. A welcoming new landscaped path leads to the new entry foyer placed at grade. 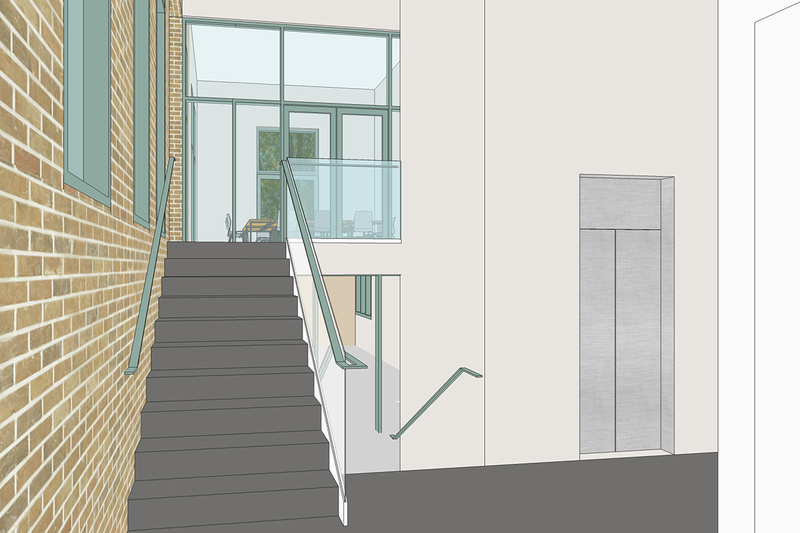 The new mid-level entry provides an easy connection via stair and elevator to the original lower and upper levels. 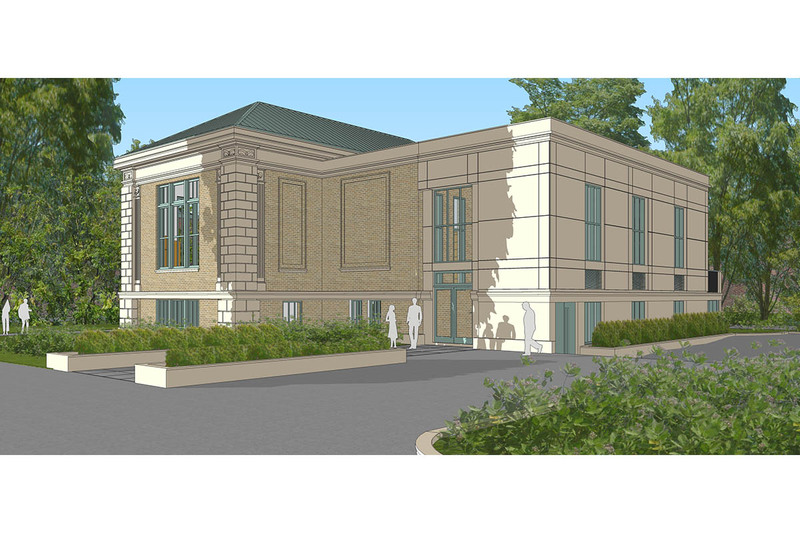 MDA’s plan for the renovation and addition has been approved by the Library Board and a capital campaign to fund the future work is underway.